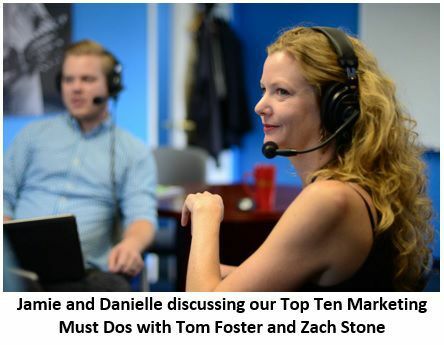 Webinar: The Top 10 Marketing Must-Dos Foster Web Marketing discusses the ten essential marketing items for any business. If you're running your own business, you have limited time and money to spend on your marketing. But, you know you have to do it! In our webinar, we list the TOP TEN things you must do to market your business—in order of priority. Coming up with this list prompted a healthy debate here at Foster Web Markeitng, and we think you'll find this to be an educational and pretty interesting webinar. Side note: The team spent over an hour debating the #1 marketing must do! And we were all surprised that "content" didn't make it in the top 3. You really need to watch this one! Be sure to check out the slides as well, as they have links to additional resources to help you on your marketing journey. Ready for more? Register today for next month's webinar, or check out our webinar archive for even more great educational material. Article: HBR on "What is Strategy?"